Two-hand analog display with Ronda quartz movement. 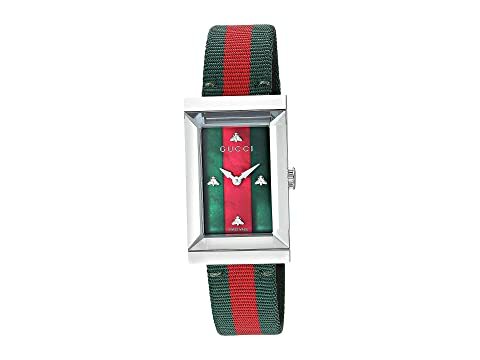 Classic green/red/green stripe dial face includes brand name and bee hour markers at 3, 6, and 9 o'clock. Gucci logo on pull/push crown. We can't currently find any similar items for the G-Frame - YA147404 by Gucci. Sorry!